Last November, 23 Williston Middle Schoolers sat for the AMC 8 math competition. The results are in! Ilana Rapaport and Ruby McElhone Yates both earned gold medals with their high score of 14! Isi Donnelly and Liam Coughlin both earned silver medals with their score of 13! 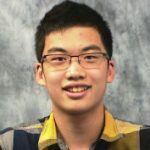 Andrew Cao earned a bronze medal with his score of 12! 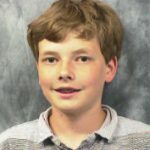 Want to give the competition questions a try yourself? Here they are! 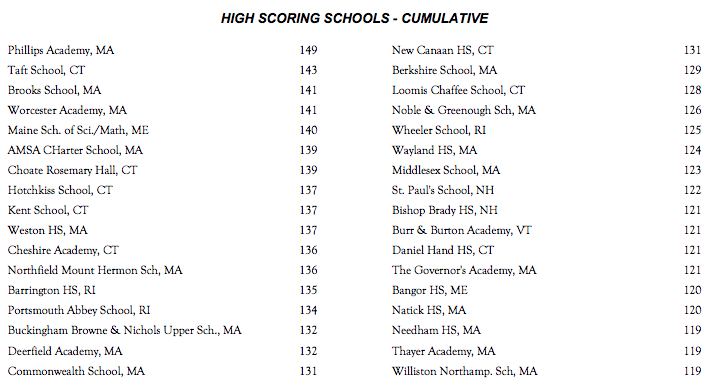 The results are in and with a total league score of 134 points, we finished 30th out of 170 teams in New England! Bravo! 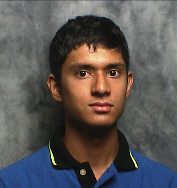 A special congratulations to Tanmay Khale for scoring in the top 25 of the 3,000+ competitors in this year’s league! Answers can be found on the results page. The next math team competition (NEML6) will take place on Tuesday, 3/22 from 2:35 to 3:35 in Schoolhouse 25. This is the last NEML of the year! The competition lasts 30 minutes and all competitors must start before 3:05. You may use a calculator. Anyone at ANY level of math is encouraged to participate! 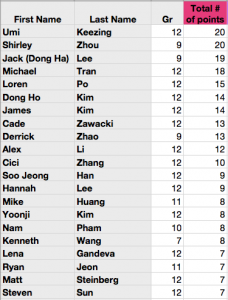 On 2/16, 21 competitors sat for the NEML5 and scored a strong team score of 21 on a very challenging round of questions! 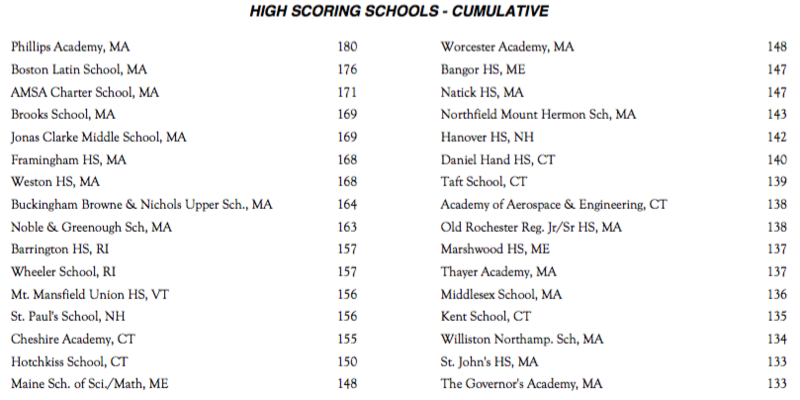 Our cumulative team score of 112 is now only 2 points out of the top 30 in all of the New England! 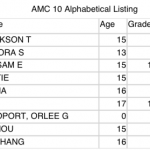 On 2/17, 17 students sat for the prestigious AMC10/12 competition! The results of the sixth and last round of NEML ’14-’15 are now online. We ended up 30th (out of 149) in New England and 15th (out of 103) in MA! The Williston Math Team just finished taking the sixth (and last) round of the New England Math League competition, and ended up scoring a 27, tying our highest round score of the year! Looking over solutions while snacking! 15 students participated in this round of the New England Math League, with participants spanning 7th through 12th grades! Each competitor had 30 minutes to work by themselves on the same 6 questions. Each question was worth one point and calculators could be used. With our round 5 score of 27, our team score now stands at 146! Our average score per participant this round was 4.07, our highest of the year! Complete results can be found on the results page (ask Mr. Seamon for the password). On Wednesday, 2/25, 28 student sat for the AMC 10/12B competitions. 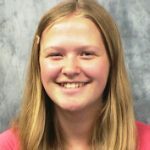 In order to qualify for the AIME, a student needed to earn above a 100 on the AMC 12B or above 120 on the AMC 10B. 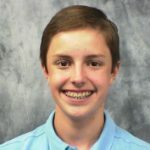 Special recognition goes to the one Williston student who qualified for the AIME, Tanmay Khale! Congratulations Tanmay! More detailed team results can be found on the results page. 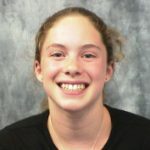 The league-wide results for round 5 of the New England Math League have been posted. We are currently holding strong at 32nd place (out of 141) in all of New England and 15th (out of 80) in MA! The top 34 teams after the 5th round of the New England Math League. The 6th and LAST New England Math League competition of the year will be held on Tuesday, 3/24 from 2:35 to 3:30pm in SH25. Everyone is welcome to compete! Remember that you need to start the competition before 3pm and you can use a calculator. Snacks will be served starting at 3:30pm when we start going over the answers in SH25. The Williston Math Team just finished taking the fifth round of the New England Math League competition, scoring a very respectable 21! 22 students participated in this round of the New England Math League, with participants spanning 7th through 12th grades! Each competitor had 30 minutes to work by themselves on the same 6 questions. Each question was worth one point and calculators could be used. With our round 5 score of 21, our team score now stands at 119. Our average score per participant this round was 2.68. The next NEML competition will be held on Tuesday, March 24th at 3pm in Schoolhouse 27. Anyone is welcome to participate! NEML Standings, AMC 10/12 Signups, and NYC! The next Math Team meeting will take place Tuesday, 2/3 from 3 to 3:30pm in SH25. Anyone is welcome to attend! 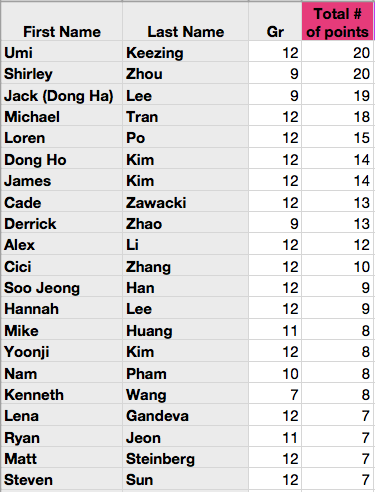 The league-wide results for the 4th round of the New England Math League are in… and we did very well! Our current overall score of 98 puts us at 23rd in all of New England (out of 141 teams) and 12th (out of 80 teams) in MA! 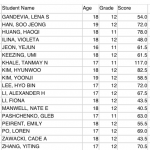 A special shoutout goes out to Umi Keezing and Shrley Zhou for their perfect scores! You can view the current league-wide score report document, and complete team stats on the results page. The next NEML competition will be on Tuesday, 2/17 from 2:35 to 3pm in SH25. You must start the competition before 3pm. 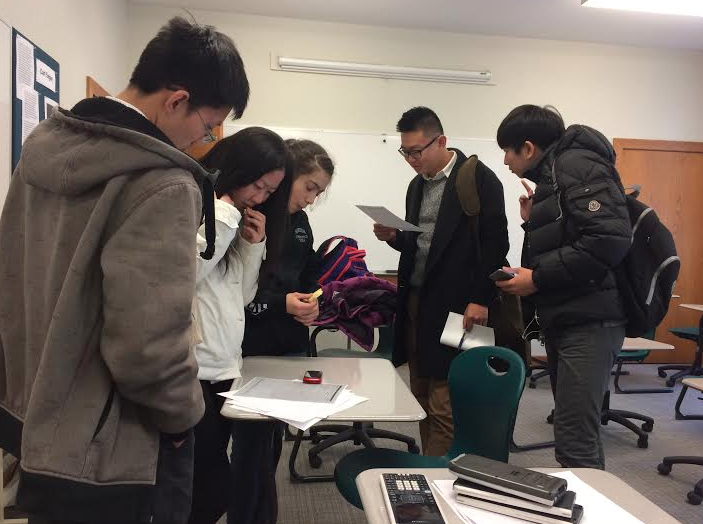 The American Mathematics Competition 10 & 12 will take place on Wednesday, 2/25 from 8:30 to 10am in Plimpton. The competition is open to any Williston student who registers online by Wednesday, 2/11 @ 3pm. The AMC 10 is a 25-question, 75-minute, multiple choice examination in secondary school mathematics containing problems which can be understood and solved with algebra and geometry concepts. The AMC 12 is a 25-question, 75-minute, multiple choice examination in secondary school mathematics containing problems which can be understood and solved with pre-calculus concepts. Two different versions of the contests are given on two dates, about two weeks apart, in February. Each AMC 10 and AMC 12 contest contain about 12 of the same math problems. In general, all 11th graders and above should sign up for the AMC 12 and all 10th graders and below should sign up for the AMC 10. Both exams are given at the same time and you can only take one. 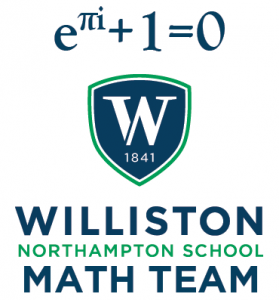 The Williston Math Team will be making a day trip to New York City on Sunday, 2/22. We’ll be visiting the Museum of Math, eating a couple fun meals, and exploring Manhattan! You can read complete details about the trip right here. In order to participate in the trip, you must sign up online by Friday, 2/6 @ 3pm. The Williston Math Team just finished taking the fourth round of the New England Math League competition, scoring a very strong 25! 19 students participated in this round of the New England Math League, with participants spanning 7th through 12th grades! Each competitor had 30 minutes to work by themselves on the same 6 questions. Each question was worth one point and calculators could be used. With our round 4 score of 25, our team score now stands at 98. Our average score per participant this round was 2.63. The next NEML competition will be held on Tuesday, February 17th at 3pm in Schoolhouse 27. Anyone is welcome to participate!